The Puma Una Pro delivers comfort and control for the patient with moderate to severe low-back pain. The plush breathable fabric provides the comfort. The rigid Kydex provides the control. The Puma Una Pro delivers both sagittal and coronal control by means of an aggressively supportive posterior-lateral shell. The dual cinch straps allow the brace to be smoothly snugged, even by elderly patients with diminished hand strength. 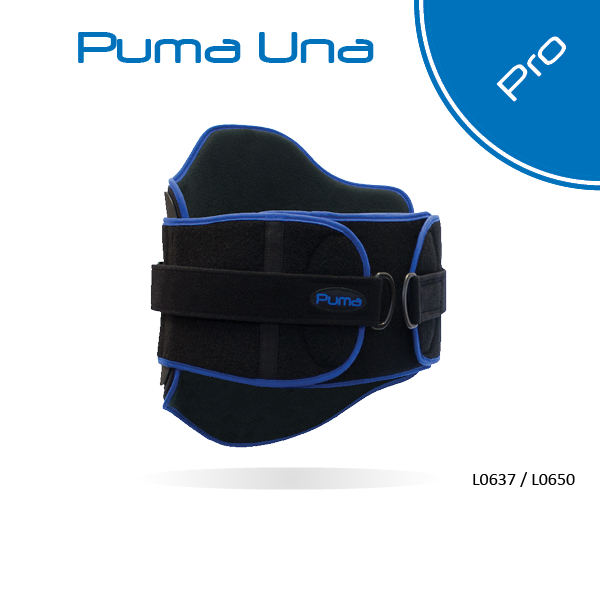 With just two sizes, Petite and Grande, the Puma Una spinal brace can accurately fit torsos from 30” to 72”. When you fit a Puma Una Brace, you’ll be rewarded with the gratitude of trusting patients and the respect of referring physicians.